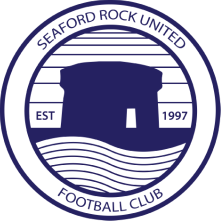 Seaford put up a brave fight against promotion contenders Greystones United but in a game that turned on small margins, the visitors got the rub of the green at crucial moments and prevailed in a hard-fought and pulsating match. Having knocked the greens out of the Leinster Junior Cup early in the season with a penalty shoot-out win, but more recently succumbed to a heavy defeat in Wicklow in the reverse league fixture, Seaford made a bright start to the match. Inside three minutes, Diarmuid Fitzpatrick hacked down Collie Dolan on the left wing, and from the resultant free kick the fullback almost diverted the ball into his own net. Moments later, Dolan latched on to Paul Lydon's backheel, but his left-footed shot was beaten away by Colm Tinsley. Greystones almost took the lead on 18 minutes when Cormac Byrne's cross was volleyed into the turf by Paul Mulloy, and was destined for the corner of the net before a spectacular save from Eoin English. At the other end, Daz Connolly was inches from breaking the deadlock when he met Mark Cullen's corner with a powerful header, before Greystones opened the scoring on 38 minutes. Thompson squared the ball to Byrne, whose effort lacked pace but squirmed under English and just over the line before a team-mate lashed it into the net. There had been nothing between the sides prior to that point but Seaford rebounded with a strong start to the second half, with Connolly volleying wide soon after the break, before Cullen found Dolan, who was denied by Tinsley at full stretch. But it was the visitors who nicked the crucial second goal. Fullback Martin Killilea hoisted a deep free kick towards the back post, where it was met by Keith McDonnell, whose header looped over English and into the net for 2-0. Greystones's Substitute Luke Cranley ought to have put the outcome beyond doubt seconds after coming on, but headed off target from inside the six yard box, and Molloy hit the post from a tight angle. Seaford;s best chances continued to fall to winger Connolly, who saw one effort blocked by a defender's desperate saving block, before his 20 yard drive was fumbled by Tinsley but fell just the wrong side of the post. In between, Seaford's Dave Devaney was dismissed for a professional foul on Thompson but in truth the result was all but decided by that point. Greystones had demonstrated their class and their title credentials with an impressive display combining ruthless determination, sheer physicality and high-pace attacking play. For Seaford, no shame in defeat.